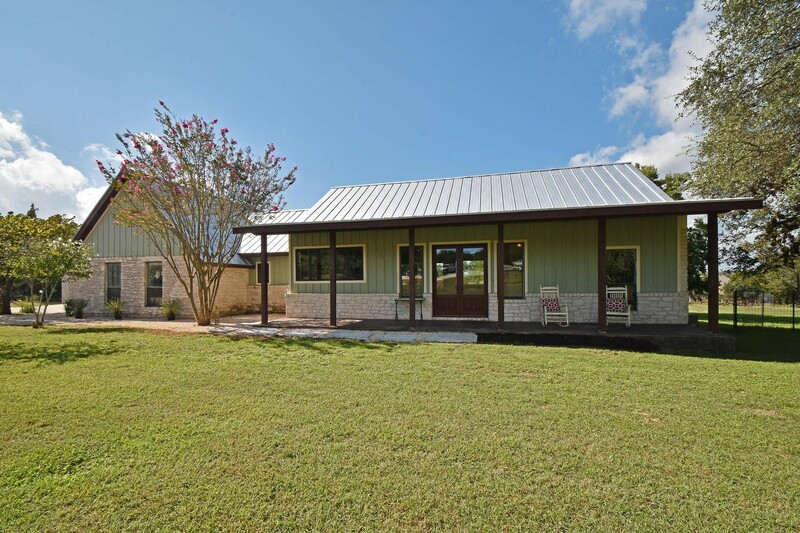 Fall in love with this modern day farmhouse! This stunning home boasts a large, open floorplan with stained concrete flooring throughout. Vaulted & beamed ceilings plus walls of windows on both sides of the home allow for ample natural light. The kitchen shines with white cabinetry, large eat-up center island, farm sink, wood countertops & subway tile backsplash. Sliding barn doors to flex room - perfect playroom or office. 2 car garage plus 3 bay 1,344 sq.ft. barn/workshop with platform for storage - room for all of your toys! Enjoy your own chicken coop & fenced garden on this stunning 1.29ac lot! City & well water, spray foam insulation, wired for sound. Enjoy the quiet, serene setting from the covered porch overlooking the lush backyard. This home is a true gem - come see for yourself!